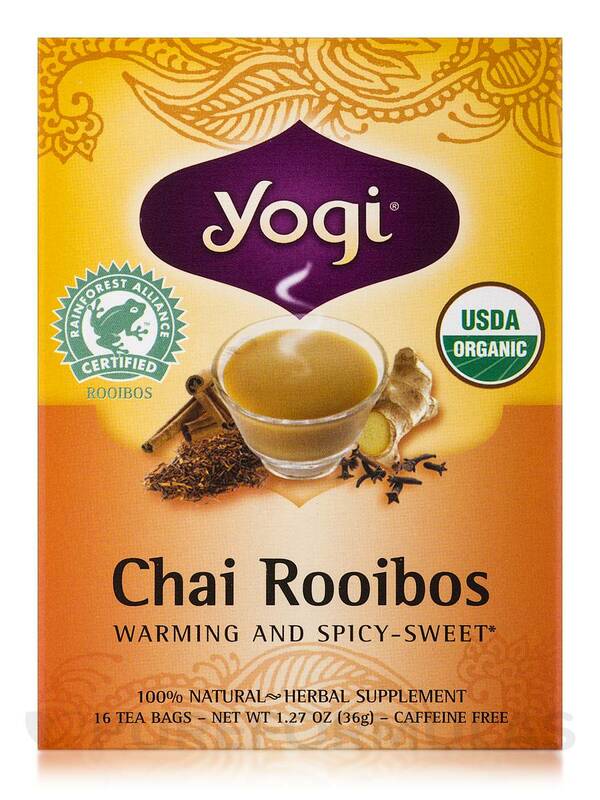 Chai Rooibos Tea by Yogi Tea is a great tea for cozy time in the fall. 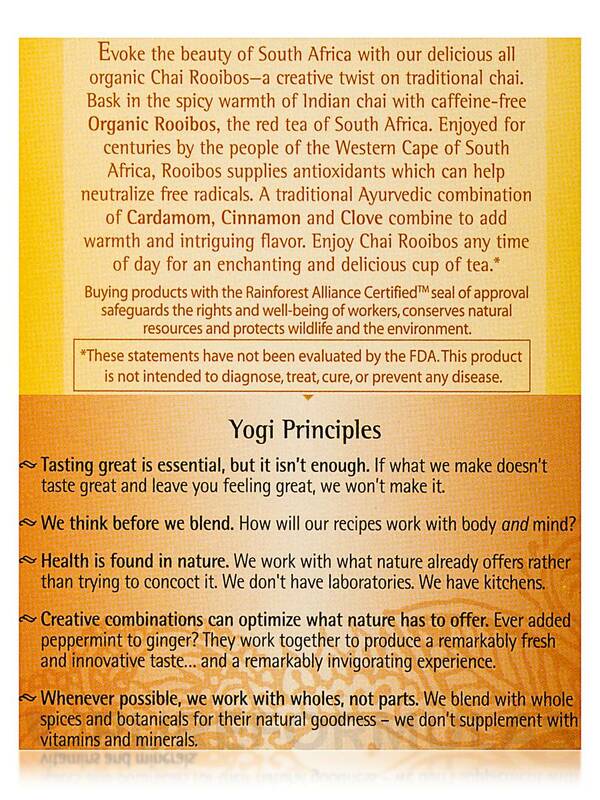 I love Chai Rooibos Tea by Yogi Tea due to its quality and taste.This has become one of my favorite varieties.Great one! 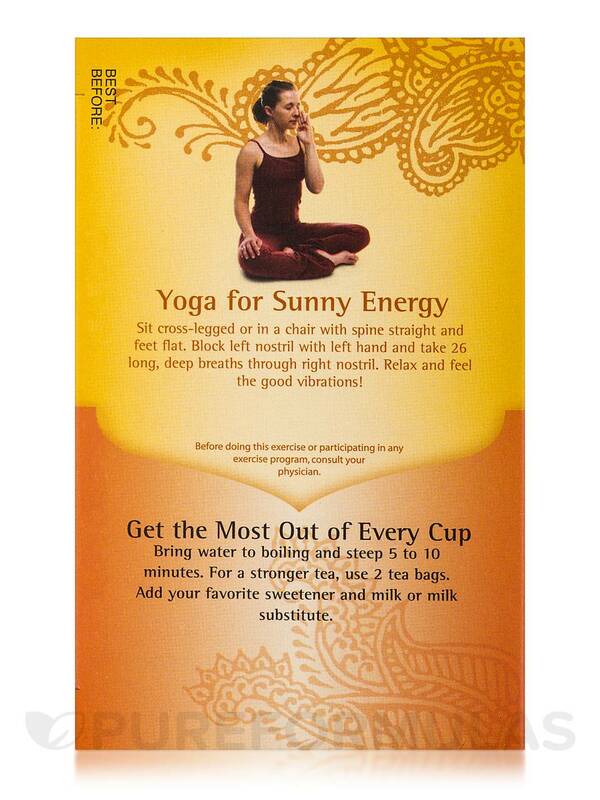 I am a fan of Chai Rooibos Tea by Yogi Tea this blend couldn't be any more perfect, so delicious and enjoyable!! Really warms the spirit! 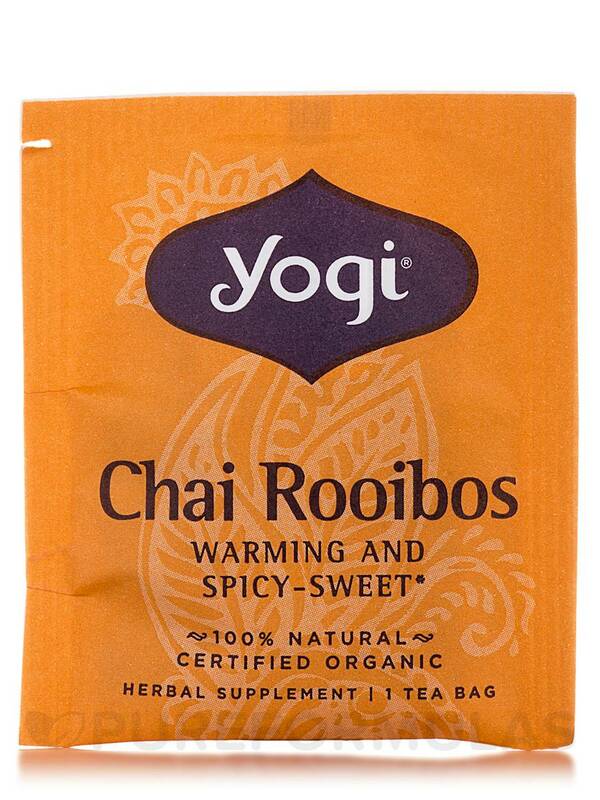 Yogi Tea's Chai Rooibos Tea isn't your normal chai. First‚ it contains organic rooibos. Rooibos is not to be confused with the ordinary tea plant (Camelia sinensis) whose leaves are used to produce black‚ green‚ or oolong tea. Instead‚ rooibos‚ also known as red tea‚ is harvested in South Africa‚ where it grows as a flowering bush. It's naturally caffeine-free‚ and supposedly carries a large amount of helpful antioxidant activity‚ which help to neutralize potentially harmful free radicals. This rooibos blend has been paired with a spicy and sweet blend of organic herbs‚ including cardamom seed‚ cinnamon bark‚ ginger root‚ stevia‚ and clove bud. All organic‚ and all delicious. Yogi Tea is committed to creating intriguing flavors like this one‚ with top quality ingredients and a strong respect for nature. 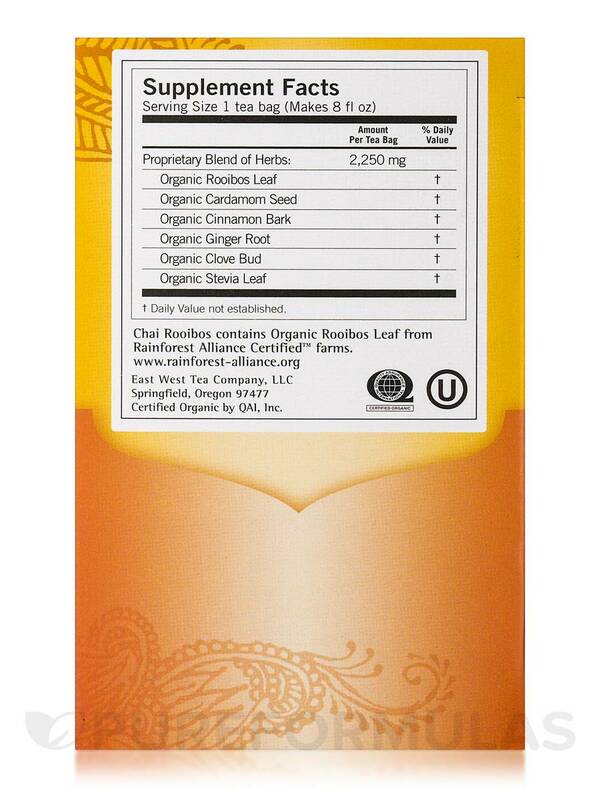 PureFormulas offers this Chai Rooibos blend as well as all other Yogi Tea flavors with free shipping‚ guaranteed. 100% Natural - Herbal Supplement. Bring water to boiling and steep 5 to 10 minutes. 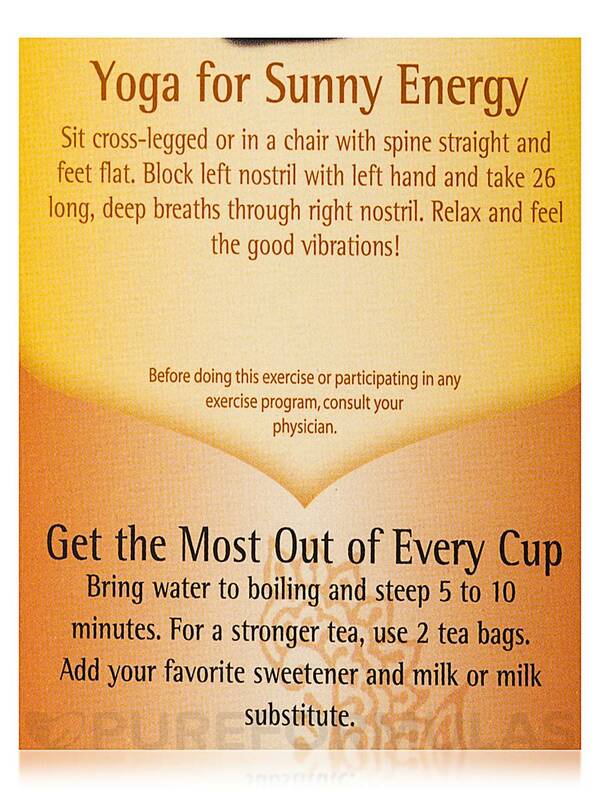 For a stronger tea‚ use 2 tea bags. Drink before bedtime. The scent of this tea is so nice. I call it cozy tea. 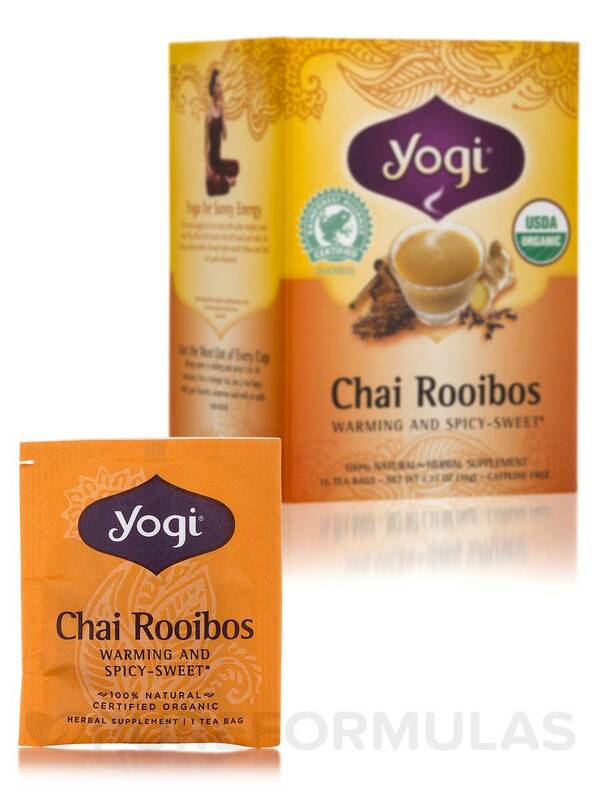 I haven't really liked any of Yogi's Chai Rooibos Tea. Hate to say it, since I think the creators at Yogi are very talented and have made some phenomenal teas. I am just used to authentic Chai from India or Indians who know how to make it taste incredible. None of Yogi's Chai can measure up. Yogi Chai Rooibos Tea tastes very good. 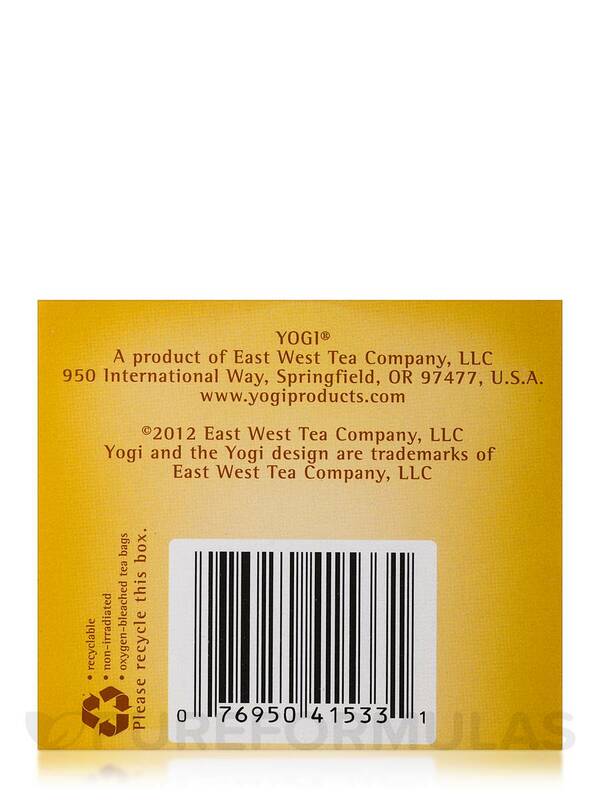 Yogi Redbush Chai is an exceptional brew that has found itself a subject of particular fondness. Mixed with a little bit of sweetener and just enough soy milk to create a faintly cloudy caramel hue, this chai makes a spectacular any-time tea. It's spicy, though not overwhelmingly so, and when mixed with milk it becomes a delicate but warm tea. Give this one a go if you're on the lookout for a good chai tea. Lovely aroma and taste. I find the aroma and tea itself really relaxes me, great price. Sadly it stains my teeth terribly and I only drank one box and gifted the others letting them know it's delicious but even stained my ceramic mug. 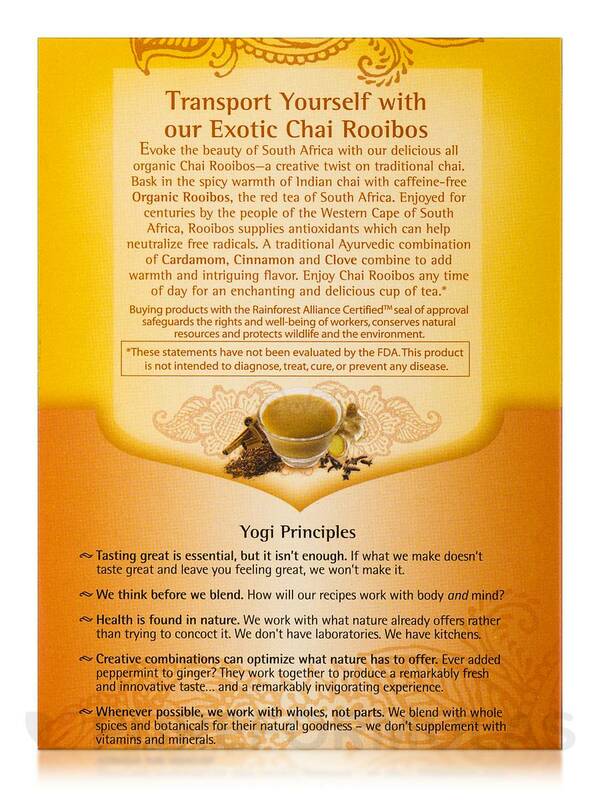 I was very happy with Chai Rooibos Tea by Yogi Tea. Using it as a weight loss supplement, as well as coffee substitute. Very tasty and the fragrance is amazing. Loved the way it made my kitchen smell. Has become a staple for me. Excellent! 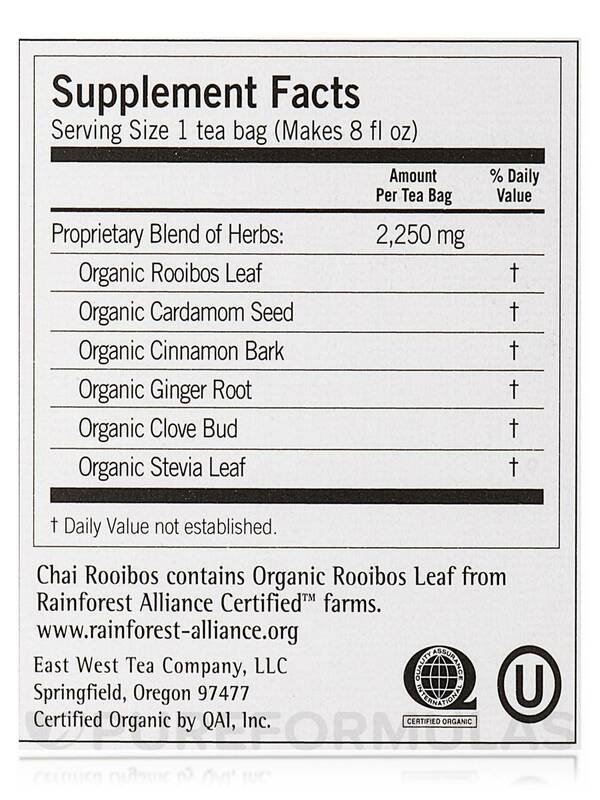 I am a HUGE fan of the rooibos tea, as well as chai. ChaiChai Rooibos Tea by Yogi Tea couldn't be any more perfect, so delicious and enjoyable!! Really warms the spirit!